SR 56 (Main Street) in Vevay East to home on North side of street. On Left. Guests & Residents will be Captivated by the Grandeur of the Historic Captain Frederick Grisard Mansion (c1845) nestled by the OH River. 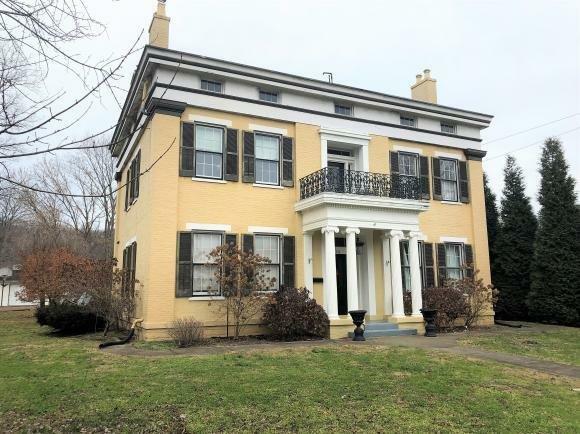 This Greek Revival boasts Unmatched Craftsmanship w/Triple Brick Walls, 3-Story Spiral Staircase, Wrought Iron Balcony, Original Windows w/Wavy Glass, Hardwd Flrs, 12 Ft Ceilings, Antique Hardware, & more. HURRY! NOTE: This property was sold on 2/22/2019 and is no longer available. The details listed below are believed accurate to the date of the sale and are subject to change.